Josh, it would be incredibly interesting to hear your reflections about what Elsevier’s turn from a publisher towards more of a data and analytics provider might mean, and whether their strategy looks plausible to you and other Digitpolists. I saw that but did not really know what to make of it. Who wants the data and how much could they possibly be willing to pay? I’m not sure. This is just one of the ‘research intelligence’ services they are offering. 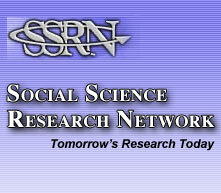 Data underlying SSRN would be only a small piece of what powers analytics services like these. Mark, the law analogy is an interesting one. I’d like to explore this with you. Should we try to connect over email? An association like the AEA would be the most logical sponsor. Try Sci Hub. According to an article in the journal Science, even people with access to expensive journals use it because it has a better interface. Why deal with an arcane Elsevier log in when you can just download the damned paper that your tax dollars paid for? The article also mentioned the Twitter #icanhazpdf tag, but I don’t have a clue as to how Twitter works. Maybe an lolcat twitters you a PDF. Next PostNext What does a Skunk Works do?